I love the Pontiac Fiero. It is the craziest car. I would love to buy one, but to buy one for $18,550 is absolutely insane. 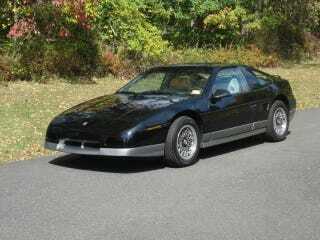 I have done my research on the Pontiac Fiero and I'll have you know that a cherry Fiero goes for around 6 grand. Even if this vehicle is in mint condition, why is Mike from Chester selling it for so much? It’s because Mike has gone completely nuts. I’ve talked to Mike and it turns out there is nothing wrong with this car besides the fact that it has a blown out sub in the back. Here’s the catch. When I talked to Mike, he was offering to sell his Fiero for 6 thousand big ones. I almost took him up on that offer. Then, he priced it 500 dollars cheaper. After a month of debating whether or not to buy the car, he priced the car at $15,500. Why is this? The Fiero has not changed a bit, so I have no idea why he would charge so much. After pondering this question, Mike jacked up the price to 18,550 US dollars. Who in their right mind would attempt to sell a Fiero for that much? No one, but the crazies. Though, this car is priced so high, it may make one laugh, I still have a desire to buy it. It’s hard to come across a cherry Fiero in such great condition. Most Fiero’s on the road today have been poorly transformed into Lamborghini’s or Ferrari’s. Some have even been transformed into Optimus Prime. This poses another question. Is the reason Mike from Chester is selling his Fiero for so much due to his love for the car? Maybe he can’t let it go and he’s just spending his last few months with his baby until some idiot comes along and buys it. That idiot should be me. Has Mike gone utterly senile or is he just spending the last days of his Midlife Crisis with his beloved mid-engine Pontiac/Fake Ferrari? &apos;05 Chevy Impala... I think YES!